Public buses in Bolivia such as Titicaca Bus or Tranzela offer ways of getting from Cusco to La Paz and La Paz to Cusco, but we feel that Bolivia Hop is simply a much better option for tourists who want cross Lake Titicaca and go from Bolivia to Peru and vice versa. As shown in the table above, Bolivia Hop buses not only offer a way to travel independently (like local public buses) but we offer a LOT more to our passengers. We are safer, more flexible, and offer a lot more value with all the discounts throughout Peru and Bolivia. Carrying around large backpacks, trying to negotiate taxi fares, and finding directions to your hostel can be a nightmare. Crossing the Bolivian/Peruvian border can be very tricky, especially with a limited knowledge of Spanish. There are forms to be filled out, fees to be paid, and dodgy police officers looking to make a quick dollar or two at your expense. Travelling on a tight budget can be a hassle. That is why we have negotiated the best deals for our passengers at local hostels in each destination. Not only that, we have managed to negotiate incredible discounts on Machu Picchu treks, Isla del Sol, and Floating Islands tours for all of our hopsters. Some of the the best memories are those that are shared with other people. On our buses, you will be able to meet many people from around the world. You will find yourself forming friendships that will often lead you to future travel together. We have received photos from former hopsters meeting in their local cities 6 months after taking a Hop bus, something unique to the Hop experience. We offer on board movies in English, so you can just sit back and enjoy the trip. What about blankets… Why are they so important? Well, when you are reaching -10º Celsius outside the bus at Puno and Lake Titicaca, you will thankful these large warm blankets were provided. Small things can make a big difference! Still not convinced why we are better than public buses such as Titicaca Bus and Tranzela? 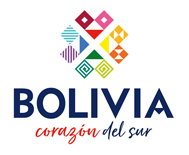 Simply ask a former hopster or look at our TripAdvisor reviews (Bolivia Hop and Peru Hop) and you will see why we are the only way to travel between Bolivia and Peru!